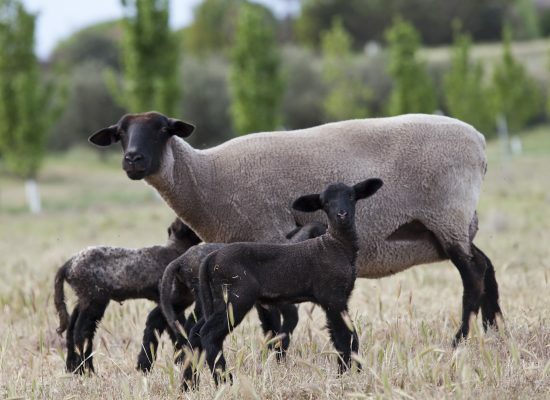 Glen Greenock Farm focuses on producing naturally raised and ethically farmed lamb for customers that value not only fine eating lamb meat, but also are concerned that this is done with respect for the animal and the land. 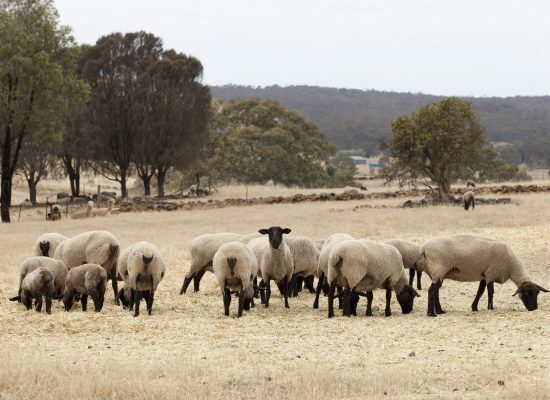 Our customers are those people who value better quality lamb, who want to know where their food has come from and that it was produced according to the best principles of land and animal stewardship. Glen Greenock Suffolk Lamb comes from the distinctive black faced suffolk breed of sheep which is known to have an amazing depth of flavour with a modest amount of tiny marbling in the meat that results in its superior eating. 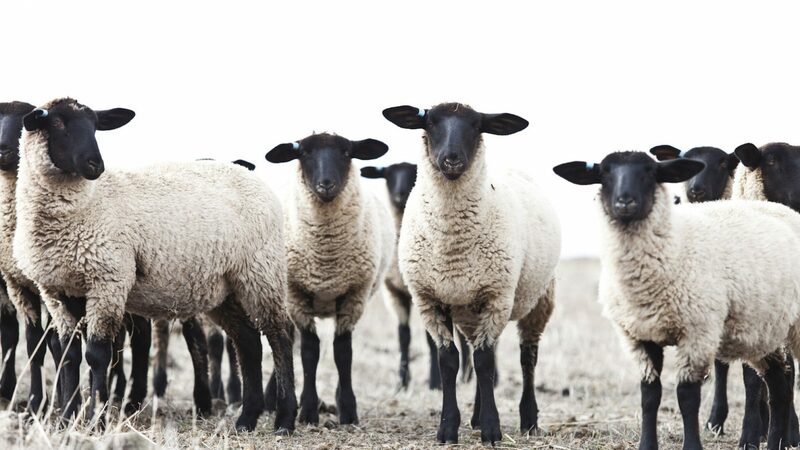 The black faced Suffolk breed is a 100% meat sheep that results in a far higher meat quality in terms of grain, texture, marbling and overall flavour with no legacy of compromise that may result from crossing with wool breeds. For prime cuts cooked and eaten in the modern lamb way, Suffolk lamb is at its premium best up to 7 months of age. This is why Glen Greenock Suffolk Lamb is seasonally available and in limited supply. However suffolk lamb is also delicious when it is grown out to ‘two tooth’ age (up to 18 months old) in cooking that is slower and longer; especially in casseroles and slow cooked roasts. 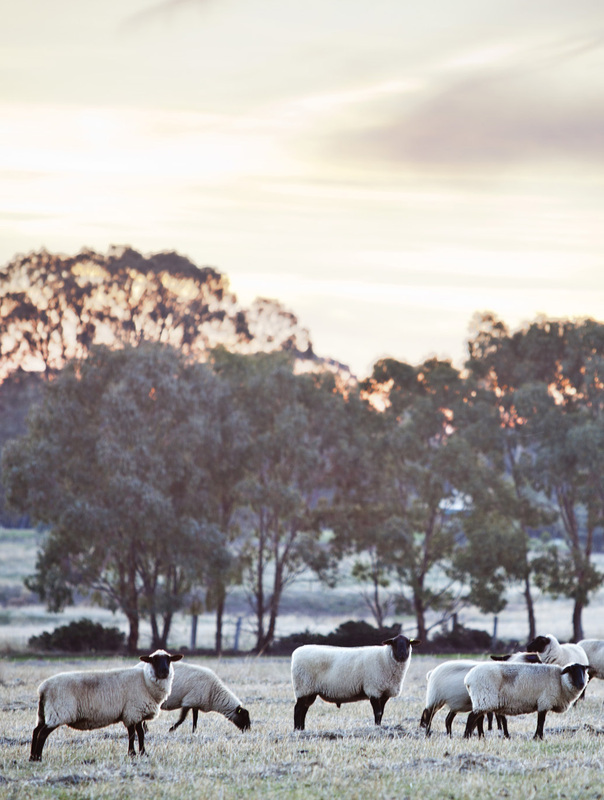 Glen Greenock Farm lies on rich basalt soil country in the centre of the Victorian goldfields. To the south across a broad lava plain is the distinctive Mount Beckworth and overlooking the farm to the north is Mount Greenock after which it derives its name. The 150 acre farm has been owned by Ross Davey and Marcia Lazarus for over 15 years in which time they have worked to enhance the natural fertility and pasture quality using a range of biological methods, including natural animal fertilisers, supplementation of natural earth micro flora and earth fungae. Rainfall at Glen Greenock Farm is low at a current 400mm per year and this makes it all the more important that pastures, plants and ultimately animals have the best that nature can deliver. Thus, working with natural processes using optimum mineral balance, enhanced activity of earth-bound bacteria and micro organisms and symbiotic activities between plants and natural fungae to obtain the most from available moisture is critical for sustainable agriculture in our area. This is ‘best practice’ farming as understood by our forefathers but now taken up by a great new wave of organic, biological, natural and regenerative farmers who are making a difference to what we eat. At Glen Greenock Farm we are convinced by the overwhelming evidence that our own health and wellbeing derives from eating those things that are grown and raised naturally and treated ethically. Much of what we eat is derived from the land, and ultimately the most wholesome and enjoyable food comes from land which is nourished, naturally fertilised and biologically alive; based on natural systems not artificial fertilisers and factory-produced chemicals. Equally, animals that we eat should be treated with respect, not only because healthy, well-fed and non-stressed animals result in superior tasting meat, but also because respect for the animal is our responsibility. The famous farmer and world-renowed speaker Joel Salatin says ‘Animals should only have one bad day in their life’. At Glen Greenock Farm we believe it is our responsibility that even that day should not be ‘bad’. 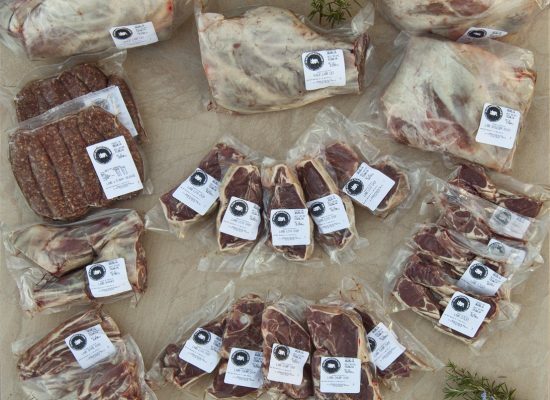 Choose from our whole or half Prime Suffolk Lamb packs. Pricing is $16 per kg carcass weight of the animal that is allocated to you. The weight may vary according to the time of year and how large the lambs have grown, a guide is provided in the product description below. Please note: total weight of butchered cuts is typically about 75% of the carcass weight. This is because butchering for customer cuts removes some bone, fat and unusable meat. This may vary from animal to animal due to natural growth variations. Place your order by filling in the form below. In the week leading up to delivery we will email you with the weight and hence the cost. Payment options are EFT (bank transfer) or cash on delivery. Delivery to Ballarat area is free (postcode 3350) or elsewhere for a cost of $10. Pick up is also available from the Talbot Provedore and Eatery on the delivery day at no additional cost. Please notify us by email if you would prefer to pick up or we will assume that home delivery is required and will be in touch with an estimated time of delivery closer to the date. Thank you. Place your order now by filling in the contact form below. 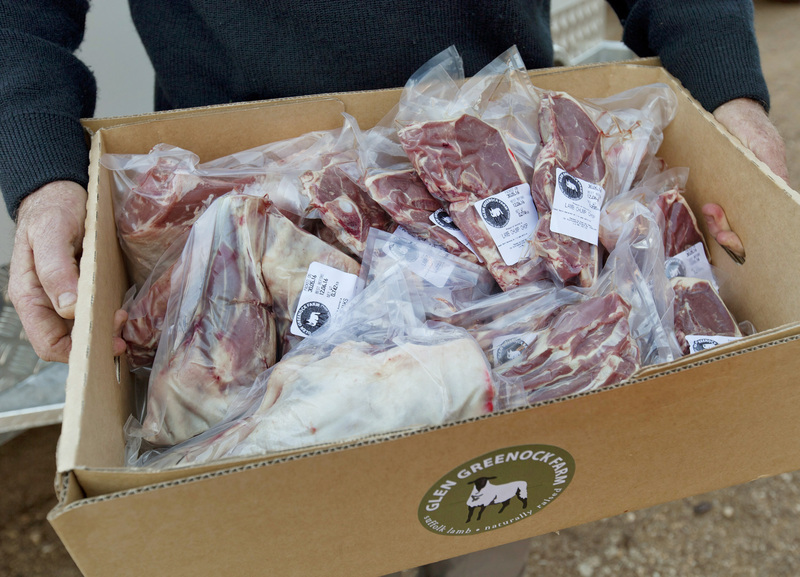 Glen Greenock Farm prime Suffolk lamb is available directly from our farm to you with our assurance of quality, transparency and ethical animal management built on a foundation of natural farming practice. Butchered, vacuum packed, labelled and boxed. 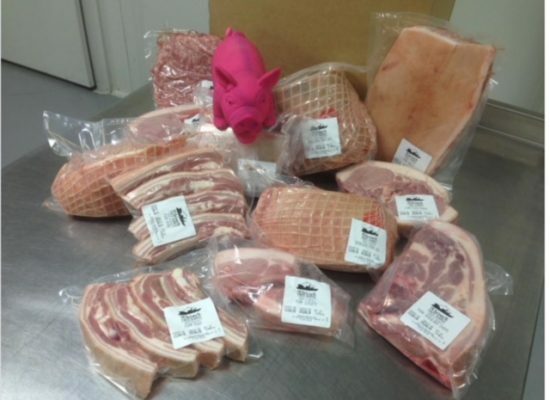 Genuine free range pork, artisan butchered and packed by Mt Beckworth Free Range. Such a tasty succulent butterflied roast! And delivered to the door! We like to buy meat that has been raised naturally and ethically. And you can taste the difference. Glen Greenock lamb is superb, and we know where it comes from and how it is raised. Glen Greenock lamb was excellent, we thoroughly enjoyed it. Great product , excellent packaging and presentation. My only minor criticism is that it drives me crazy when items ( lamb chops ) are packed in uneven numbers, making it difficult to know how serve 3 of anything to two people. Look forward to placing another order with you soon. Just tucking into a half leg roast from this order. (having already knocked off a half leg, sausages and mince so far, with the necks and chump chops to go in tomorrows Osso Buco. Slow roasted, rosemary, garlic, and a dry herb rub on the outside in the webber as low as I could go. Absolutely amazing. Without a doubt the best leg roast I’ve ever done. The flavour from the meat is just amazing, juicy, tender and the texture is perfect. All thats left is to learn how to truly carve it properly! 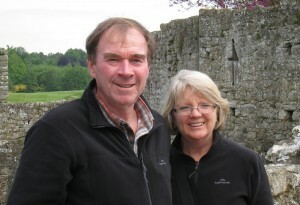 When buying food for family, work or friends you want to know and believe you’re purchasing produce ethically grown and raised, Ross and Marcia tick this box. The lamb we have tried so far has been amazing. I will certainly be ordering again.